When you finally get to invest in that beautiful import automobile, you can nearly feel the energy pulsing through your fingertips from the steering wheel, clothed in leather and hand stitched to perfection. Is it the pure power sitting under the hood, waiting for the slightest twitch of your foot to rev up like no other? Or is it the years of history, or trial and error, of aspirations and successes that make an import BMW vehicle seem like so much more than a car? The story of the BMW brand might actually inspire you to see more behind the expertly crafted 5 series in your garage. As with all things that are the pure result of history and human turmoil that eventually resulted in beauty and fulfilled expectations, the BMW is an unparalleled brand because of its deep, far-spread roots. As you may know, BMW is a widely loved vehicle brand from Europe that has been highly regarded for over a century. For the entire existence of the brand, that little badge mounted on the front of the hood has been a symbol of precision both in the structure and quality of the vehicles and products that they make. It started off rather modestly, however, in Bavaria. 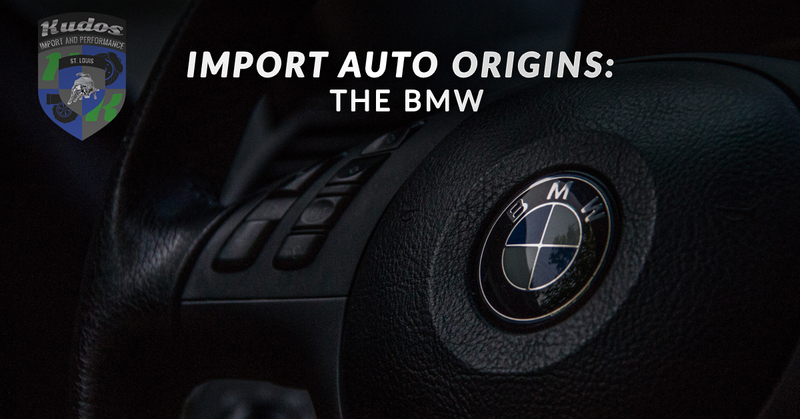 BMW actually stands for “Bavarian Motor Works,” and thus started first in engines in 1916. Karl Rapp and Gustav Otto founded the company and started in creating engines for aircraft. The incredible quality of their product quickly earned widespread attention and thus they caught the eye of the government which led to rather quick expansion. Of course, this was right in time for World War I, which earned the company a considerable amount of recognition as Germany’s main engineering power. After WWI, the company transitioned into making motors for busses, farm equipment, and trucks. But 1923 lead to a paradigm shift and the company suddenly started producing large numbers of motorcycles and cars instead. In fact, the R23 was BMW’s first motorcycle released in 1923, and it was groundbreaking. Up to this point, the BMW level of quality had only extended to the engines they specified in, this entire body vehicle, including a very fine engine was the start of a new and distinguished chapter of the company. The basis of the design was simplistic and beautiful for it. Once this model was set, it was clear what the brand excelled at, thus spurring their line of clean, simplistic and yet beautiful designs that you can still see in all of their vehicles today. The R23 was such a revolutionary design was a widespread success, in fact, it’s still used today in bike manufacturing shops. Invest in quality repair for you luxury import vehicle at Kudos Luxury Import auto shop. We understand and appreciate the fact that your BMW is a stunning work of precision and unmatched quality. The idea is to keep the integrity of your vehicle intact while ensuring it can still function and run like it did the day you drove it off the lot. Contact us with any of your maintenance questions and concerns, we’re happy to advise as best we can.